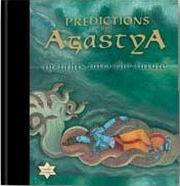 I had gone visiting three friends yesterday and one not only extended me great hospitality but, also gifted me with a nicely wrapped packet with the title “Predictions Of Agastya”. He not only wanted me to take it home before opening it but, also requested that I read it and give him a feed back about the efficacy of the predictions. I duly did as requested on reaching home and found this book. He further informed me that since I am a Vedica / Advaitin, I should find Agastya interesting and that is why he had bought this for me. 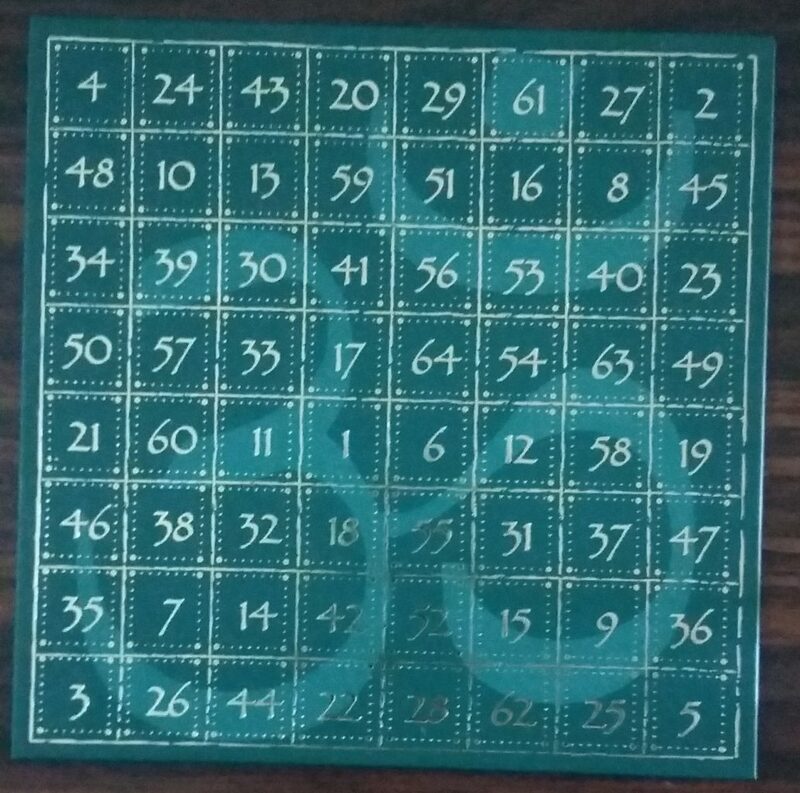 As I lifted the book off the table after unpacking the packet, I found another item at the bottom made out of a piece of paper printed with random numbers pasted on a cardboard with a subdued subtext in Sanskrit reading Om. Nothing crude about it and a very nicely done job. As I inevitably do with new books, I also wrote on the first page the date on which I got the book and from whom. I settled down comfortably in my recliner and opened the book to find that each numbered page gave a general balderdash about stars and planets and below that a particular prediction for the immediate and long term future. 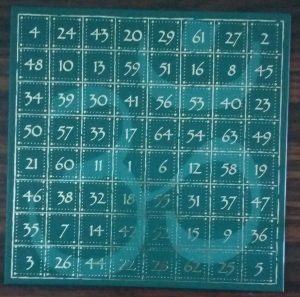 I went back to the first page to see what this was all about and read the preface to the book giving instructions to keep the numbered grid near one’s puja alcove and place the flower one offers to one’s personal deity with shut eyes on the board and see the predictions for the number in the corresponding page number in the book. In other words, just a lot of horoscope mumbo jumbo like one would find in any daily or weekly horoscope published in our news papers and periodicals here. Like what I had written in my blog post Horoscopes. I went to the last page to find if I could find some more information and found a couple of paragraphs introducing the reader to the writer and artists involved in the production of the book with nary a line about the name of the publisher! I rang my friend up to give my feed back and started off by saying that it is a rip-off and he had a good laugh saying that he too had found it to be so and decided to play a practical joke on me! I went online to find some details and found that the package would cost $15.37 a pop! I very expensive practical joke indeed! This entry was posted in Books / Reading, Friendship, Humor, Philosophy and tagged Advaitin, Agastya, Practical joke, Puja, Vedica. Bookmark the permalink. 6 Responses to A Rip Off! What makes me laugh about these predictors such as Malachy or Nostradamus is that their predictions can be interpreted to fit history or adapted. No one can tell the future. Some fortune tellers I have seen – or psychics – have been amazingly accurate but good psychology is often a great basis for that. I know I am pretty accurate in my amateur (fun) attempts. I must send you my horrorscope then! I predict that many people will make large sums of money by claiming they can foretell someone’s future. I also predict that many people will get up in the morning and go to bed at night. That’ll be 1,000 rupees. All major credit cards accepted. You are selling yourself short. You can charge much more. it’s like “self-help” books – you could buy possibly 50 from one shelf alone and find yourself wondering why you ever thought you needed “S.H.” in the first place. There are many other themes in life that get on the “band wagon” and peddle all kinds of things…and “people” buy these books! That particular friend is impish to say the least!